“How Are Things In Glocca Morra” was composed by Burton Lane and the lyrics were written by E. Y. Harburg. It was first introduced in 1947 in the musical “Finnian’s Rainbow” but it has since become a jazz standard. Sonny Rollins recorded it on his Blue Note debut album “Sonny Rollins, Volume One.” It’s a beautiful song for a warm, sunny, beautiful St Patrick’s Day. Irish people have been celebrating St. Patrick’s Day for over 1000 years but the first St. Patrick’s Day parade took place in New York in 1762. 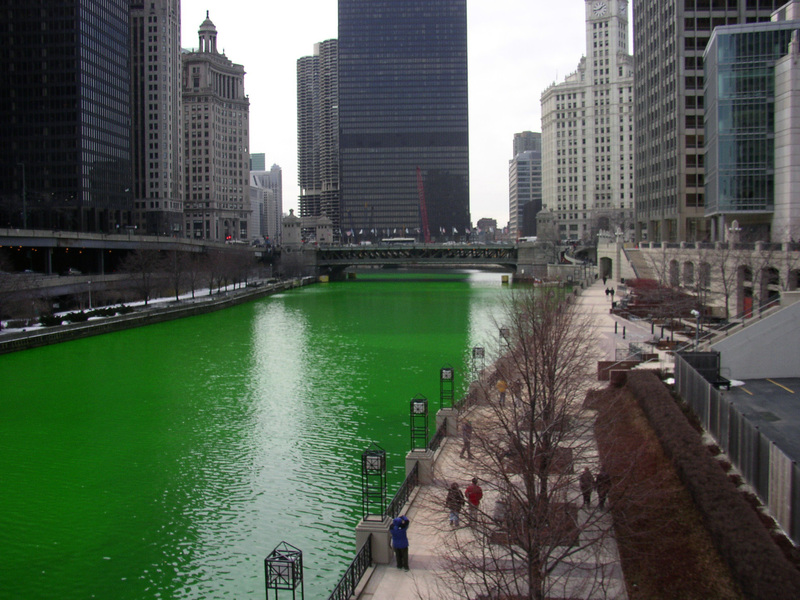 It’s such a big holiday in Chicago (my home town) that, in addition to the 50 billion parades, they dye the river green to celebrate the occasion. I never wear green on St. Patrick’s Day on account of unpleasantness not worth dredging up here. I will, however, be making corned beef, cabbage, and potatoes for dinner because some traditions are just too darned delicious to ignore! Sonny Rollins composed “Oleo” in 1954 and Miles Davis recorded the song on the album “Bags Groove.” Miles also recorded two of Rollins’ other compositions on that album and they have all become jazz standards. This video is from Denmark 1965 with Niels-Henning Ørsted Pedersen (NHOP) on bass, and Alan Dawson on drums. “Oleo” got its name from oleomargarine the butter substitute. Apparently it was all the rage back then. Even though there are lower fat alternatives these days, I haven’t been substituting much butter this delicious holiday season. But the holidays are over now. I had generous visits from The Great Pumpkin, The Horn Of Plenty, The Sugar Plum Faeries, and Kwanzaa’s Dili of Soul Food (if that’s not a thing it should be). I also seem to have had a visit from some sort of evil mythical pants tightening creature because I know four months of near constant carbohydrate consumption could not possibly have done this much damage! So, in addition to my “Blog 100 Days” pledge, I’m starting a 100 day “Put The Friggin’ Cookie Down And Have A Salad Already” pledge… right after I finish this bag of cookies. What?? They’re Milanos!